Kate Christie, (45) from Melbourne, Australia, is mum to three kids and started her business, Time Stylers five years ago. 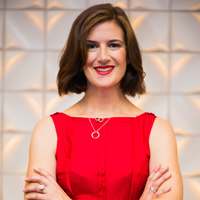 Married to a barrister and first working as a lawyer, Kate has recently published a book called “Me Time – The Professional Woman’s Guide to Finding 30 Guilt-Free Hours a Month” and has a special offer for Australian readers below. As part of the Professional Parents Profile series, Kate has kindly shared an insight into her life. As you’ll read, she believes family work balance is a myth, but has plenty of ideas and experience to share as a time management expert. I was one of a generation of women who was told that I could ‘Have it all’, and I believed it! And what’s more, for many, many years, it worked – I did have it all. I was used to getting exactly what I wanted through sheer hard work and a modicum of talent. I was a Superwoman – with a lycra cat suit hidden under my shirt with an S emblazoned across my in-substantial bosom. I simply flew up that career ladder. Hard Work = Success = Having It All = the simple formula by which I lived my life. How does this compare to “Life After Children”? But then, in quick succession I had three babies in three and a half years, all while trying to maintain my career, juggle work, a husband and a home. For four and a half years straight my poor body was either pregnant or breast feeding or both. But, as a clever career woman who knew I could ‘have it all’, I was simply super duper at multi-tasking. I could juggle a telephone conversation with a client, while scrolling through my emails with one hand and making the school lunches with the other. I was adept at dropping in to the supermarket each day and grabbing just what I needed for that night and not a bean more, mobile pressed to my ear with one hand, pushing the trolley with the other, while steering with my hip. No-one could run faster in heals than me when it came to making the dash for the train, where I would make a mental to do list of everything I needed to do that night, the next and the next. I was a whirlwind as I vacuumed the floor, checked my emails, fed the cat, took the dog for a walk, checked my emails, made dinner for the family, helped with homework, checked my emails, listened to my partner’s day, checked my emails and then collapsed in to bed. I was living the dream! I run my own business so the laws available to working parents don’t apply to me. I don’t believe in work/life balance – I think it is a bit of a myth. I have many different aspects that make up my life and none of them are balanced – I tend to think in terms of work/life ‘integration’ – where all the elements are integrated and I can focus on what needs my time and attention at any given moment. You don’t need to ‘have it all’ – just chase the bits which are most important to you. After I left my corporate job I finally had the head space to REFRAME. I realised that there had to be a better way for other successful female professionals, who also happened to be mums or planned to be mums, to find hours of lost time, to lose their guilt and their stress, and have success on both the work and the home front. I co-founded my first business, Babysitters and More (BaM) after years of frustration with domestic help Agencies that promised the world, charged a fortune and forever under-delivered. Since then, I founded Time Stylers to help successful women who are struggling to manage the ‘juggle’, to truly find success at work and at home. 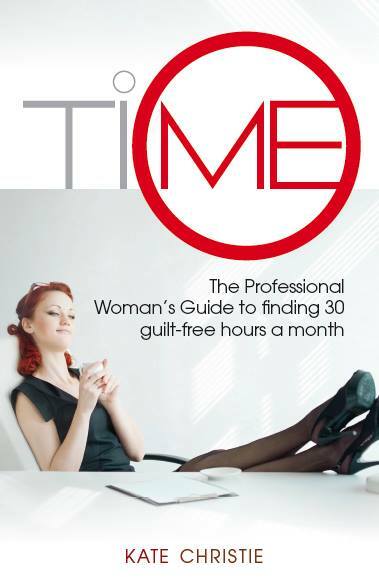 In 2014 I wrote and published “Me Time – The Professional Woman’s Guide to Finding 30 Guilt-Free Hours a Month”, which walks women through a simple 5 step process to finding hours of lost time a month. The desire to be with them as much as possible – I had been such a high flying career girl, and all of a sudden, almost overnight, my career just didn’t matter as much. But, I still love work and I love that I work for myself and can work around my kids. True happiness in their own skin. Launching my book “Me Time”, being signed up to speak at events for busy parents and appearing on NZTV. The never ending juggle – if one of the kids gets sick I drop everything and that is challenging. My book ‘Me Time’! Of course! I love the challenge, I love being a great role model for my kids. I am a time management expert. I have a reputation for helping my clients find and harness 30 hours of lost time a month. I have a home office which is RED! I love red! I have a view out over the water, and enough room for my team to work with me unless they want to work from home. There is room for my kids to study next to me while I work. Up early to see the kids off, time for a jog, I am at my computer by 9am and then work steadily until the kids get home from school – unless I am travelling for speaking engagements. I am a note taker, so I love a beautiful notebook and pen. The amount of hard work and effort required to get it up and then to become successful. In a year I will be talking at more events about my book. In 5 years I will be launching my 3rd book! Plan properly – have a written Business Plan, get all the legal stuff locked in, don’t underestimate the amount of work, GO FOR IT!! Being my own boss and achieving success my way for myself and my family.